This is another chapter of my Gettysburg text in which I lay out the ideological foundations of the Civil War. These are important not only to understand that war, but also to shed light on ongoing controversies in our own time in the United States, as well as understanding civil wars and conflicts in other nations. That is why it impossible to simply examine the military campaigns and battles of the Civil War in isolation from the politics, polices, and the competing philosophy and theology which undergirded the arguments of both sides that brought on the war. Studying the context of the American Civil War is very important in understanding not just it, but also civil wars in other nations which are currently raging. The study of these contexts brings an American or Western historical perspective to those wars, not so much in trying to place a western template over non-western conflicts; but a human perspective from our own past from which we can gain insight into how the people, even people who share a common language, religion and history, can war against each other in the most brutal of fashions. For American and western political and military policy makers this is particularly important in Iraq where many Americans have fought, and the related civil war in Syria which has brought about the emergence of the Islamic State of Iraq and the Levant. Thus the study of the American Civil War, from the cultural, economic, social and religious aspects which divided the nation, helps us to understand how those factors influence politics, policy and the primal passions of the people which drive them to war. 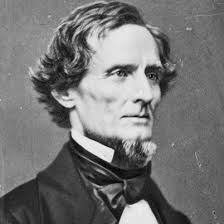 Ruffin was a radical ideologue, he had been passionately arguing for secession and Southern independence for fifteen years. Ruffin “perceived the planter civilization of the South in peril; the source of the peril was “Yankee” and union with “Yankees.” Thus he preached revolution, Ruffin was a rebel with a cause, a secular prophet…”  He was a type of man who understood reality far better than some of the more moderate oligarchs that populated the Southern political and social elite. 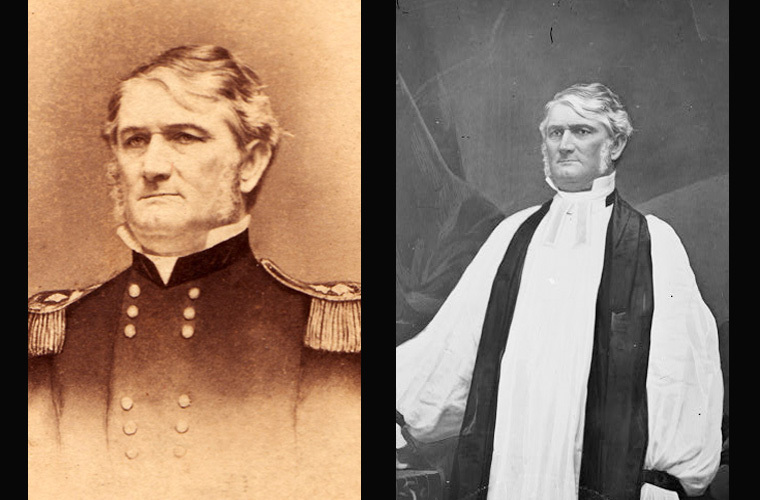 While in the years leading up to the war these men, including John Calhoun attempted to secure the continued existence and spread of slavery within the Union through the Congress and the courts, as early as 1850, Ruffin recognized that in order for slavery to survive the slaveholding South would have to secede from the Union. 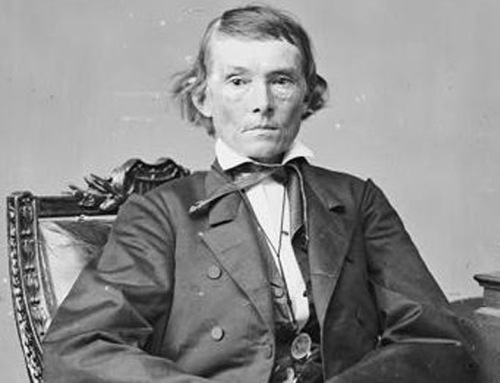 Ruffin and other radical secessionists believed that there could be no compromise with the north. 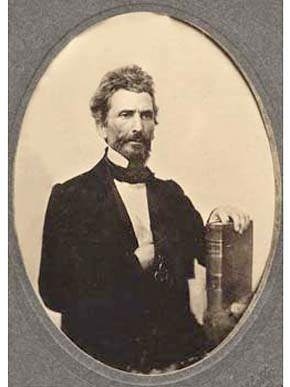 In 1850 he and James Hammond attempted to use a meeting in Nashville to “secure Cooperative State Secession” and wrote to Hammond, against those who sought to use the meeting to preserve the Union, “If the Convention does not open the way to dissolution…I hope it shall never meet.”  He believed that in order to maintain the institution of slavery the slave holding states that those states had to be independent from the North. The Ante-Bellum South was an agrarian society which depended on the free labor provided by slaves and in a socio-political sense it was an oligarchy that offered no freedom to slaves, openly discriminated against free blacks and provided little hope of social or economic advancement for poor and middle class whites. Over a period of a few decades, Northern states abolished slavery in the years after the United States had gained independence. The South tied its economy and society to the institution of slavery, and was not content to see it remain just in the original states of the Old South. In the years the before the war, the North embraced the Industrial Revolution leading to advances which gave it a marked economic advantage over the South. The population of the North also expanded at a clip that far outpaced the South as European immigrants swelled the population. Of course what was Caesar’s was obviously the institution of slavery. Sadly, the denominational rifts persisted until well into the twentieth century. The Presbyterians and Methodists both eventually reunited but the Baptists did not, and eventually “regional isolation, war bitterness, and differing emphasis in theology created chasms by the end of the century which leaders of an earlier generation could not have contemplated.”  The Southern Baptist Convention is now the largest Protestant denomination in the United States and many of its preachers are active in often divisive conservative social and political causes. The denomination that it split from, the American Baptist Convention, though much smaller remains a diverse collection of conservative and progressive local churches. Some of these are still in the forefront of the modern civil rights movement, including voting rights, women’s rights and LGBT issues, all of which find some degree of opposition in the Southern Baptist Convention. The effect of the ruling on individuals and the states was far reaching. 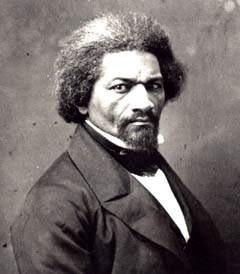 “No territorial government in any federally administered territory had the authority to alter the status of a white citizen’s property, much less to take that property out of a citizen’s hands, without due process of law or as punishment for some crime.”  Free slaves were no longer safe, even in Free States from the possibility of being returned to slavery, because they were property. Other extremists in the Deep South had been long clamoring for the reopening of the African slave trade. 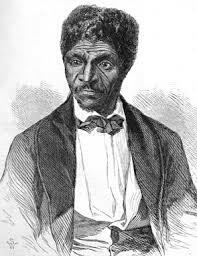 In 1856 a delegate at the 1856 commercial convention insisted that “we are entitled to demand the opening of this trade from an industrial, political, and constitutional consideration….With cheap negroes we could set hostile legislation at defiance. The slave population after supplying the states would overflow to the territories, and nothing could control its natural expansion.”  and in 1858 the “Southern Commercial Convention…” declared that “all laws, State and Federal, prohibiting the African slave trade, out to be repealed.”  The extremists knowing that such legislation would not pass in Congress then pushed harder; instead of words they took action. In 1858 there took place two incidents that brought this to the fore of political debate. The schooner Wanderer owned by Charles Lamar successfully delivered a cargo of four hundred slaves to Jekyll Island, earning him “a large profit.”  Then the USS Dolphin captured “the slaver Echo off Cuba and brought 314 Africans to the Charleston federal jail.”  The case was brought to a grand jury who had first indicted Lamar were so vilified that “they published a bizarre recantation of their action and advocated the repeal of the 1807 law prohibiting the slave trade. “Longer to yield to a sickly sentiment of pretended philanthropy and diseased mental aberration of “higher law” fanatics…”  Thus in both cases juries and judges refused to indict or convict those responsible. There arose in the 1850s a second extremist movement in the Deep South, this one which had at its heart the mission to re-enslave free blacks. This effort was not limited to fanatics, but entered the Southern political mainstream, to the point that numerous state legislatures were nearly captured by majorities favoring such action. That movement which had appeared out of nowhere soon fizzled, as did the bid to reopen the slave trade, but these “frustrations left extremists the more on the hunt for a final solution”  which would ultimately be found in secession. 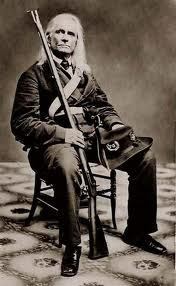 Even in the South there was a desire for the Union and a fear over its dissolution, even among those officers like Robert E. Lee who would resign his commission and take up arms against the Union in defense of his native state. Lee wrote to his son Custis in January 1861, “I can anticipate no greater calamity for the country than the dissolution of the Union…I am willing to sacrifice everything but honor for its preservation…Secession is nothing but revolution.” But he added “A Union that can only be maintained by swords and bayonets has no charms for me….”  The difference between Lee and others like him and Abraham Lincoln was how they viewed the Union, views which were fundamentally opposed. In the North there too existed an element of fanaticism. 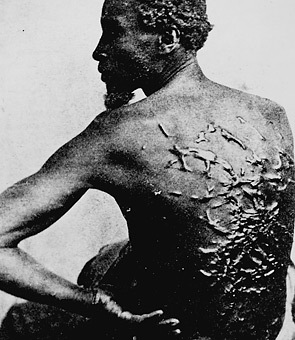 While “the restraining hand of churches, political parties and familial concerns bounded other antislavery warriors,”  and while most abolitionists tried to remain in the mainstream and work through legislation and moral persuasion to halt the expansion of slavery with the ultimate goal of emancipation, there were fanatical abolitionists that were willing to attempt to ignite the spark which would cause the powder keg of raw hatred and emotion to explode. It now did not matter that Brown was captured, tried, convicted and executed for his raid on Harper’s Ferry. He was to be sure was “a half-pathetic, half-mad failure, his raid a crazy, senseless exploit to which only his quiet eloquence during trial and execution lent dignity”  but his act was the watershed from which the two sides would not be able to recover, the population on both sides having gone too far down the road to disunion to turn back. But to Southerners Brown was the symbol of an existential threat to their way of life. 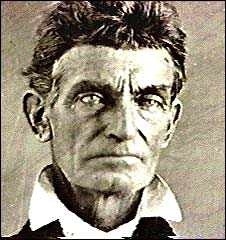 In the North there was a nearly religious wave of sympathy for Brown, and the “spectacle of devout Yankee women actually praying for John Brown, not as a sinner but as saint, of respectable thinkers like Thoreau and Emerson and Longfellow glorifying his martyrdom in Biblical language”  horrified Southerners, and drove pro-Union Southern moderates into the secession camp. Throughout the war slavery loomed large. In his First Inaugural Address Lincoln noted: “One section of our country believes slavery is right and ought to be extended, while the other believes it is wrong and ought not to be extended. This is the only substantial dispute.” Of course he was right, and his southern opponents agreed. 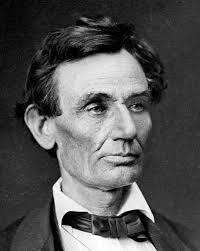 After the bloody battle of Antietam, Lincoln published the emancipation proclamation in which he proclaimed the emancipation of slaves located in the Rebel states, and that proclamation had more than a social and domestic political effect, it ensured that Britain would not intervene. Though Ruffin was dead in the coming years the southern states would again find themselves under the governance of former secessionists who were unabashed white supremacists. By 1877 many southerners we taking as much pride in the “Lost Cause” as Northerners took in Appomattox. This led to nearly a hundred more years of effective second class citizenship for now free blacks who were often deprived of the vote and forced into “separate but equal” public and private facilities, schools and recreational activities. The Ku Klux Klan and other violent organizations harassed, intimidated, persecuted and used violence against blacks. Lynching was common and even churches were not safe. It would not be until the Civil Rights movement of the 1950s and 1960s that blacks would finally begin to gain the same rights enjoyed by whites in most of the south. Though the issues may be different in nations where the United States decides to intervene to prevent humanitarian disasters, prevent local civil wars from becoming regional conflagrations, or to provide stability after a civil war, the controversies and conflicts brought on by the ideological, social and religious divides in the Ante-Bellum United States provide planners and commanders a historical example, drawn from our own American history of the necessity of understanding the political, ideological, economic, social and religious seeds of conflict. By taking the time to look at our own history, planners, commanders and policy makers can learn lessons that if they take the time to do so will help them understand such factors in places American troops and their allies might be called to serve. It also shows, through the wisdom of Britain’s non-intervention the importance of staying out of some conflicts. I read a lot of political commentary and as a historian as well as a theologian I try to carefully examine mass movements such as the modern Tea Party Movement from a historical, theological and moral point of view. To do this as dispassionately as I can I look to history and attempt to find parallels to other movements and ideologies in the country concerned. For example if I am examining a movement in France, I look to French history for precedent, the same for any other country or region. In regard to the Tea Party movement I have watched it since its inception in the fall of 2008 not long after I returned from Iraq. At the time I saw it as a protest against the massive failure of the American economy during the housing and stock market collapse involving the big banks and investment firms on Wall Street. I honestly did not believe that it would be a movement that has lasted as long as it has or would gain the amount of influence it has in the Republican Party. But then I saw it as a political and social protest and did not know enough about its leaders and their actual political ideology to make a serious connection to other political and social movements in U.S. History. That being said, over the past six years I have had time to examine the movement, and while it is not monolithic there are within it many connections to previous American political movements, most of which would be classified as radically conservative. The movement is a curious combination of Libertarian leaning conservatives that preach a Libertarian form of unbridled Capitalism. There is also a religiously conservative element primarily composed of, but not limited to Evangelical Christians and conservative Roman Catholics focused more on social morality issues, particularly in regards to women’s issues, especially reproductive rights, abortion and homosexuality and LGTB rights and equality. There is also a collection of Second Amendment, or gun ownership proponents, anti-public education and pro-home school proponents, as well as others that advocate a number of conservative political beliefs, especially that of limited government. There is a highly volatile nativist element which has a nearly xenophobic world view, and a growing separatist militia movement that actively seeks confrontation with the Federal government. However the movement does tend to mobilize over issues that they feel threaten their personal liberty, even if those issues have no actual effect on how they live their lives. This is particularly the case in terms of women’s issues and LGBT equality. This movement is particularly effective in taking political power at the local and state level and in many states have worked to roll back voting rights of minorities, particularly African Americans and uses the legislative and judicial process to advance their agenda, especially in terms of imposing a conservative Christian moral code on non-Christians or Christians that do not agree with them through the law, and this movement called Christian Dominionism is deeply ingrained in the personal philosophy and religious beliefs of many Tea Party leaders, both elected and unelected. While many individual Tea Party members are moderate in their views, many are not and some advocate secession or overthrow of the present Federal government and are particularly united in their hatred of President Obama and any political official that will not completely embrace their agenda, thus Republican Tea Party members work to defeat moderate or conservative Republicans in primaries. The thing is that none of this is new and that much of the current theology and philosophy in the Tea Party movement comes out of similar thought of the John Birch Society and well as the ante-Bellum South. 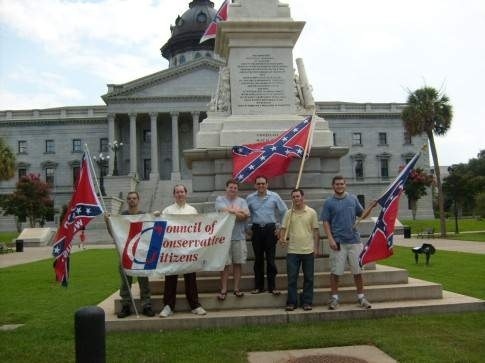 While most Tea Party members would out rightly reject slavery, there often is a fair amount of racism displayed at their rallies, in their writings and in the declared goals of some groups. That is why that it is important to look to history, because the personal, religious, social and economic rights that many in the Tea Party embrace are directly concerned with limiting or rolling back the freedoms of minorities, women, immigrants and gays, thus the bridge to looking at the political, social, racial and religious issues that help to precipitate the American Civil War. While the focus of this is on slavery, the same people who promoted the continued existence as well as expansion of slavery built a culture in which discrimination and the elevation of a political and social aristocracy was the goal. In addition to African Americans the leaders of the Southern states, especially the religious leaders fought tooth and nail against women’s suffrage, immigration, universal education and voting rights, especially for poor whites, who also for the most part were condemned to menial employment and hardscrabble farming whose social status was only just above that of African Americans. Those subjects, which are also very much a part of the modern Tea Party lexicon, each, could be addressed in its own article. But today I am focusing on the ideological differences between the North and the South related to the “particular institution” of slavery and briefly touch on other issues. That is why it impossible to simply examine the military campaigns and battles of the Civil War in isolation from the politics polices and even the philosophy and theology which brought it about. In fact the cultural, ideological and religious roots and motivations of conflict are profound indicators of how savage a conflict will be and to the ends that participants will go to achieve their ends. Thus the study of the causes of the American Civil War, from the cultural, economic, social and religious aspects which divided the nation, helps us to understand how those factors influence politics, policy and the primal passions of the people which drive them to war. The political ends of the Civil War came out of the growing cultural, economic, ideological and religious differences between the North and South that had been widening since the 1830s. The growing economic disparity between the slave and Free states became more about the expansion of slavery in federal territories as disunion and war approached. This was driven by the South’s insistence on both maintaining slavery where it was already legal and expanding it into new territories and the vocal abolitionist movement. This not only affected politics, it affected religion and culture. The world was changed when Edmund Ruffin a 67 year old farm paper editor, plantation owner and ardent old line secessionist from Virginia pulled the lanyard which fired the first shot at Fort Sumter. Ruffin was a radical ideologue. He was a type of man who understood reality far better than some of the more moderate oligarchs that populated the Southern political and social elite. While in the years leading up to the war these men attempted to secure the continued existence and spread of slavery within the Union. Ruffin was not such a man. He and other radical secessionists believed that there could be no compromise with the north. He believed that in order to maintain the institution of slavery the slave holding states that those states had to be independent from the North. 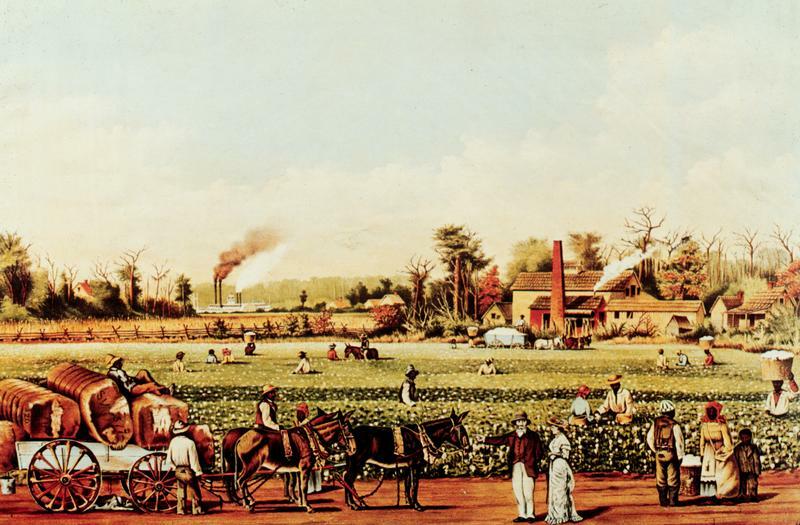 The Ante-Bellum South was an agrarian society which depended on the free labor provided by slaves and in a socio-political sense it was an oligarchy that offered no freedom to slaves, discrimination against free blacks and little hope of social or economic advancement for poor and middle class whites. Over a period of a few decades, Northern states abolished slavery in the years after the United States had gained independence. In the years the before the war, the North embraced the Industrial Revolution leading to advances which gave it a marked economic advantage over the South. The population of the North also expanded at a clip that far outpaced the South as European immigrants swelled the population. 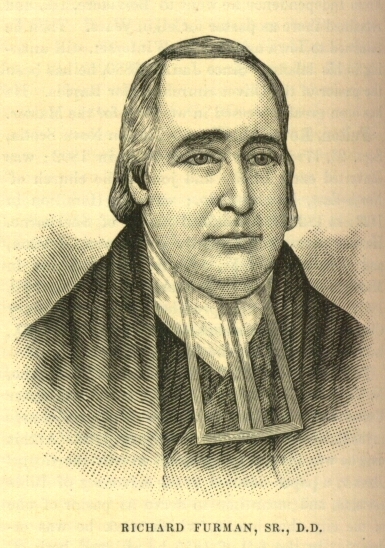 The political and cultural rift began to affect entire church denominations, beginning with the Methodists who in “1844 the Methodist General Conference condemned the bishop of Georgia for holding slaves, the church split and the following year saw the birth of the Methodist Episcopal Church.” The Baptists were next, when the Foreign Mission Board “refused to commission a candidate who had been recommended by the Georgia Baptist Convention, on the ground that he owned slaves”  resulting in the formation of the Southern Baptist Convention. Finally in 1861, “reflecting the division of the nation, the Southern presbyteries withdrew from the Presbyterian Church and founded their own denomination.”  Sadly, the denominational rifts persisted until well into the twentieth century. The Presbyterians and Methodists both eventually reunited but the Baptists did no. The Southern Baptist Convention is now the largest Protestant denomination in the United States and many of its preachers active in often divisive conservative social and political causes. The denomination that it split from, the American Baptist Convention, though much smaller remains a diverse collection of conservative and progressive local churches. Some of these are still in the forefront of the modern civil rights movement, including voting rights, women’s rights and LGBT issues, all of which find some degree of opposition in the Southern Baptist Convention. Other extremists in the Deep South had been long clamoring for the reopening of the African slave trade. In 1856 a delegate at the 1856 commercial convention insisted that “we are entitled to demand the opening of this trade from an industrial, political, and constitutional consideration….With cheap negroes we could set hostile legislation at defiance. The slave population after supplying the states would overflow to the territories, and nothing could control its natural expansion.”  and in 1858 the “Southern Commercial Convention…”declared that “all laws, State and Federal, prohibiting the African slave trade, out to be repealed.”  The extremists knowing that such legislation would not pass in Congress then pushed harder; instead of words they took action. There arose in the 1850s a second extremist movement in the Deep South, this to re-enslave free blacks. This effort was not limited to fanatics, but entered the Southern political mainstream, to the point that numerous state legislatures were nearly captured by majorities favoring such action. That movement which had appeared out of nowhere soon fizzled, as did the bid to reopen the slave trade, but these “frustrations left extremists the more on the hunt for a final solution”  which would ultimately be found in secession. In the North there too existed an element of fanaticism. 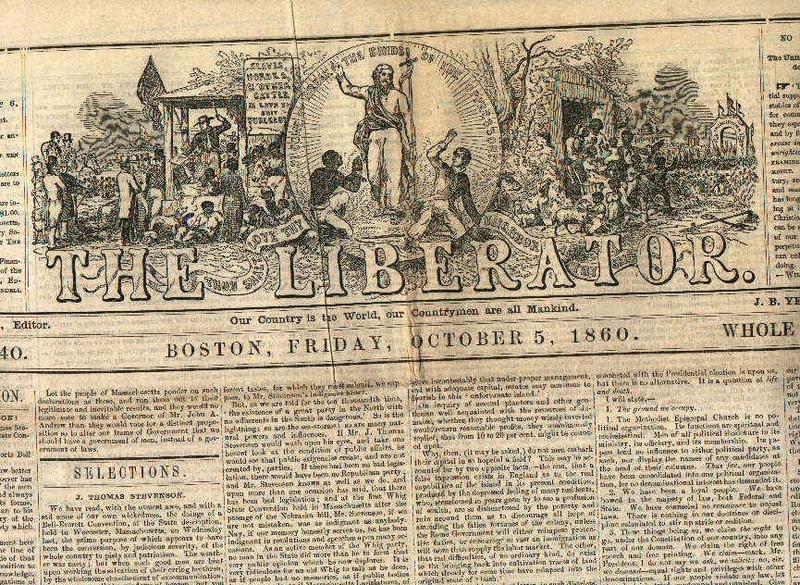 While “the restraining hand of churches, political parties and familial concerns bounded other antislavery warriors,”  and while most abolitionists tried to remain in the mainstream and work through legislation and moral persuasion to halt the expansion of slavery with the ultimate goal of emancipation, there were fanatical abolitionists that were willing to attempt to ignite the spark which would cause the powder keg of raw hatred and emotion to explode. Most prominent among these men was John Brown. Though the issues have changed since the time of slavery, there is a common denominator between the Tea Party movement, much of the modern conservative politically minded Dominionist Christianity and the conservative economic elites that back them. The Tea Party leaders, the well-off politically minded preachers, and their economic benefactors use fear of change, fear of race and fear of “the other” to motivate middle class and poor whites and others to vote for their causes and be their foot soldiers just as Jefferson Buford did in 1856. They set their liberty, social and economic position above others. Some in the Tea Party use religion to justify discrimination, and in many places use it as the basis to limit the rights of minorities, women and gays much as the Southern Plantation oligarchs used slavery to control African American slaves, poor whites and blacks who had escaped slavery. In some states Tea Party operatives attempt to use the legislative and judicial branches of government to ensure that they as a minority overrule the will of the majority. They use the same language, often punctuated with exhortations to revolt and violence as did their predecessors in the ante-bellum South. This may sound harsh to some, especially for honest decent and caring people who have been taken up in the political crusade of the Tea Party and politically minded preachers. Unfortunately the parallels are all too real to dismiss them.